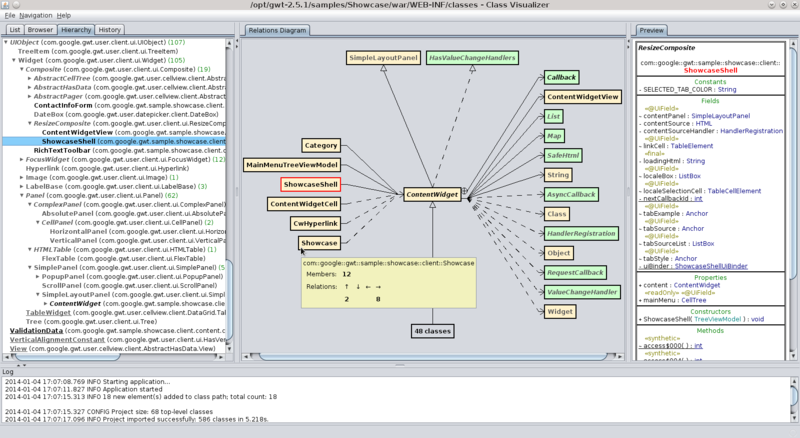 Free, interactive class diagrams generator from Java bytecode. Please click on a thumbnail to see the full-size view. 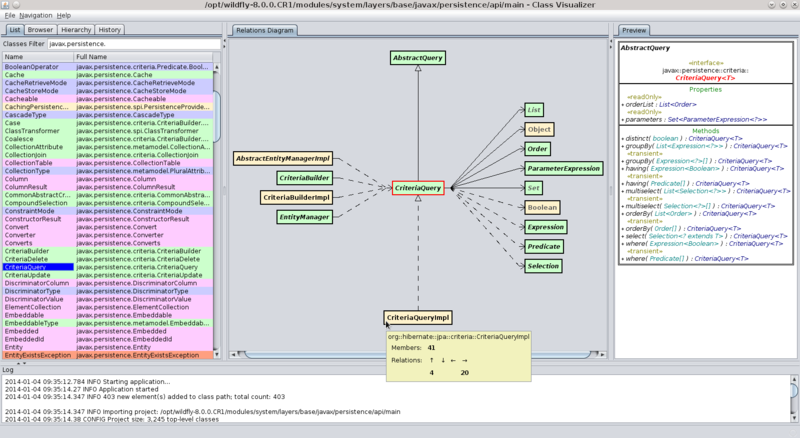 Task: Analysis of the abstract class java.text.Format and its subclasses. Task: Analysis of the abstract class java.text.NumberFormat. 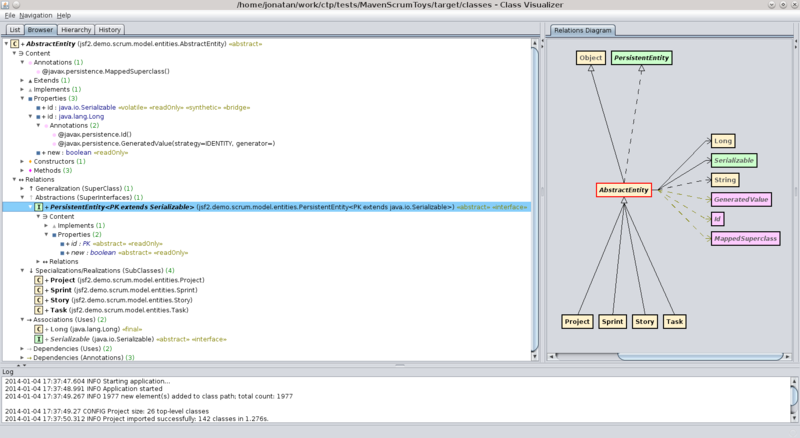 Project: Part of WildFly - Java Persistence API with its implementation, Hibernate. Task: Analysis of the Criteria API and its implementation. 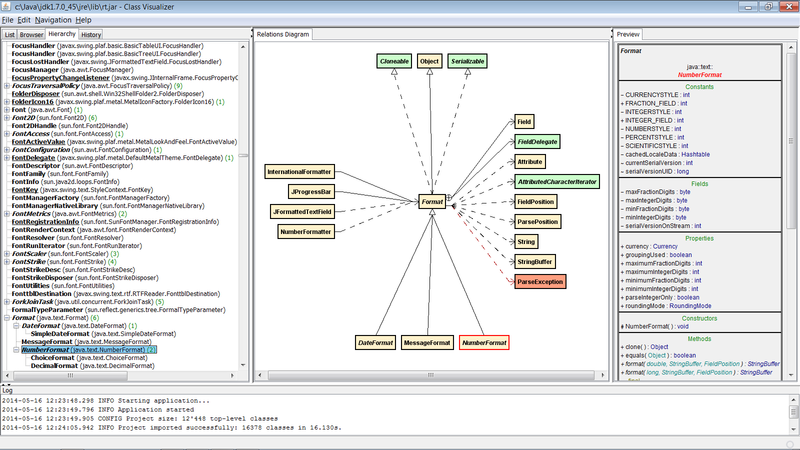 Project: Maven-based web (JSF) application, Maven Scrum Toys - included in NetBeans IDE. Task: Analysis of the data model. 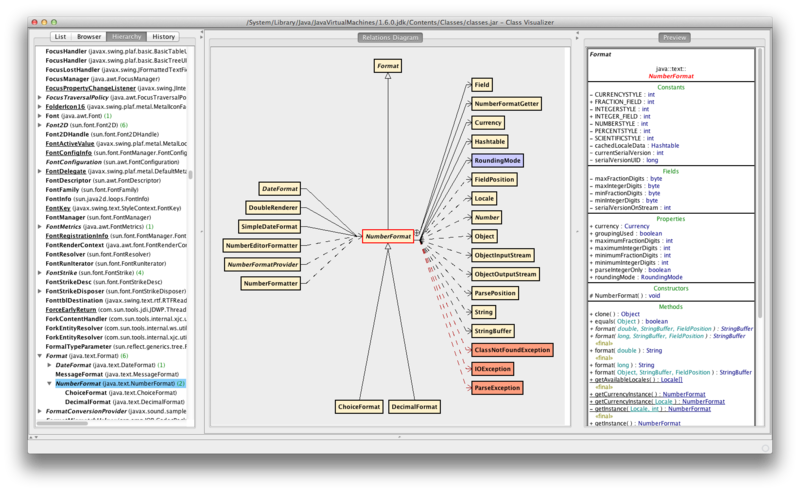 Project: Ant-based web (GWT) application, GWT Showcase - included in GWT Project. Task: Analysis of widgets hierarchy. Copyright © 2011-2019 Jonatan Kaźmierczak.